Infineon shares extended declines Thursday after Europe's biggest chipmaker cautioned that 2019 profits would likely fall short of analysts' forecasts thanks in part to weakness in China's sputtering auto market. NXPI has its hands in two of the strongest growth sectors of tech in terms of usage and need for innovation. Looking at options trading activity among components of the Russell 3000 index, there is noteworthy activity today in NXP Semiconductors NV , where a total volume of 22,334 contracts has been traded thus far today, a contract volume which is representative of approximately 2.2 million underlying shares (given that every 1 contract represents 100 underlying shares). That number works out to 52.6% of NXPI's average daily trading volume over the past month, of 4.2 million shares. 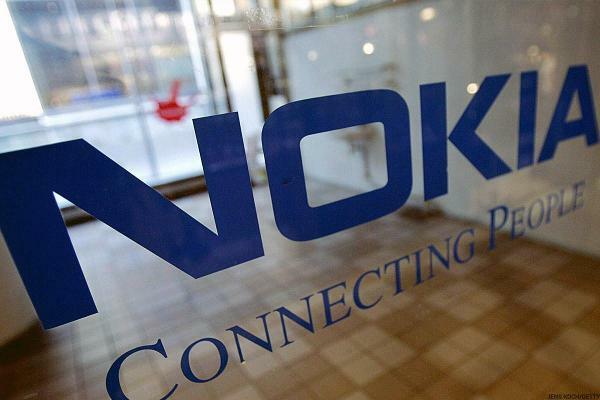 Both companies indicate they are not in acquisition talks. 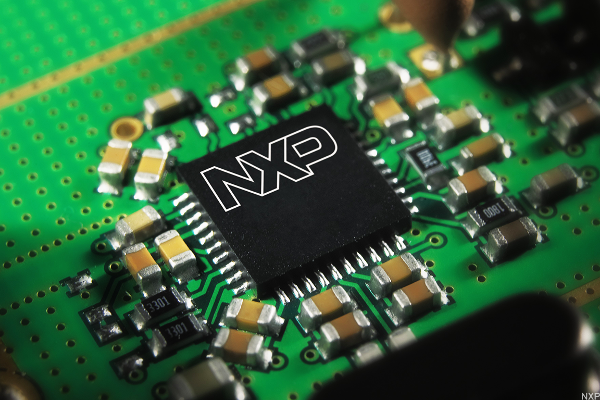 NXP shares extended their gains on Thursday. U.S. stock futures decline as the earnings season draws to a close; Twitter, T-Mobile and Yum! Brands report earnings Thursday; Chipotle soars after earnings smash analysts' estimates. Computer chip maker tops estimates for fourth quarter. The market can still go higher, but the time has come for the slope of price discovery to normalize a bit. Real Money's Kevin Curran breaks down what to watch for during the final earnings bonanza. Nvidia warned that quarterly revenues would fall short of expectations due to weaker-than-expected demand amid slowing economic growth in China. Among other things, slowing Chinese orders and weak smartphone demand are weighing on the chip giant's top line. But a lot of bad news has been priced in. The long-term demand bolstered by secular shifts in technology are keeping many onboard the ship for semiconductors in the long term. A variety of new niche markets are emerging in the consumer smart home hardware space. That spells an opportunity for chip suppliers. At one CES exhibit after another, carmakers and their suppliers showed off giant new displays and interfaces that will likely be making their way into cars over the next few years. The chip giant is notching plenty of wins in the automotive space with infotainment and 'digital cockpit' processors. Today they are reversing and it is all about the bold Micron upgrade from BMO Capital. Value hunters would be wise to consider this company. I think we are right to feel totally betrayed by our leaders for not realizing what they have done to the possibilities of much slower growth in 2019. The ban, which is related to Apple's alleged infringement of two Qualcomm software patents, only affects a small percentage of Apple's global revenue. But its timing speaks volumes.